Heatwave or no heatwave, I have work to do. 8:30 Rudely awakened by hapless waitress bringing brekkers. Obligatory wiggle-waggle with the ears and tail to amuse her. 9:06 brekkers out of the way, I position myself on my mat at the bottom of the stairs to guard the letterbox. It is also an excellent spot to keep an eye on waitress who frequents the stairs carrying large piles of books, ladders and other girlie things. 12:57 Waitress disappears into kitchen. I hear the promising sound of the fridge door opening and the vegetable drawer moving. I consider getting up but decide against it on the grounds that the letterbox would be unguarded if I went into the kitchen. 13:09 Afternoon snack of cherry and bonus broccoli out of the way, I make an effort to throw my ice bottle further into the hallway. Exhausted by all this activity I make myself comfortable on my mat. 16:33 Waitress appears to be visiting Haas and Katrijn in the garden. Treats could be on offer so I have a look outside but decide it is too hot to really bother. Instead, I go on a reccy to see what she has been up to all day. 16:34:55 Work to be done! 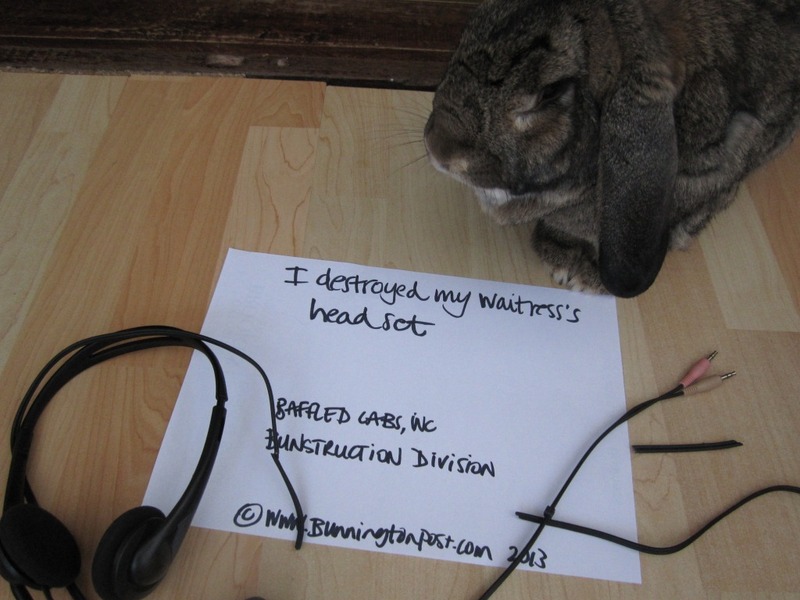 BAFFLED Labs, Bunstruction Division jumps into action.